Straight out of Ocala, Florida (with a little help from two members of A Day to Remember – also from Ocala), the metalcore band Wage War has been blowing up stages all summer long on the final Vans Warped Tour. Signed to Fearless Records in 2015, the band has already produced a small arsenal of singles and two albums (Blueprints & Deadweight) plus a couple must-see videos including “Stitch”. 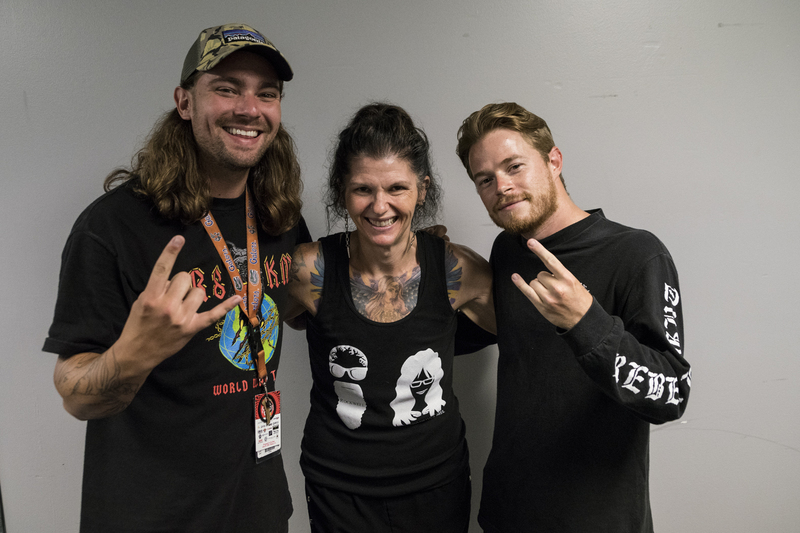 It was the Milwaukee, Wisconsin Warped Tour stop that we caught up with guitarist Seth Blake and bassist Chris Gaylord. This was the battlefield of the day as Mischievous Mel talked with the guys about music, the making of the video “Stitch”, ink, and much more. Watch and listen right here!